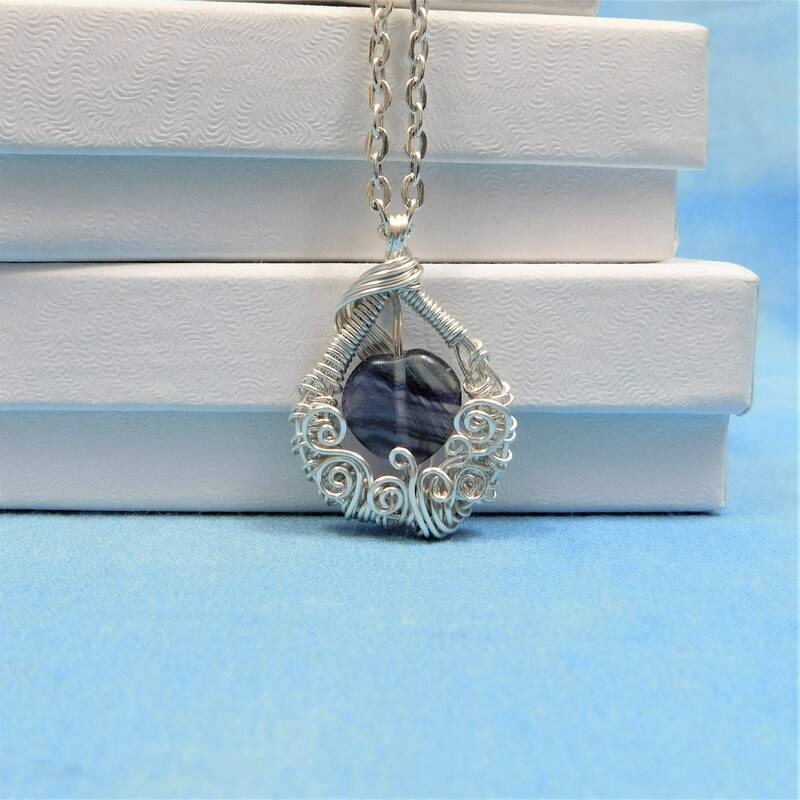 Shades of Purple and green run in diagonal stripes across this beautiful fluorite stone. 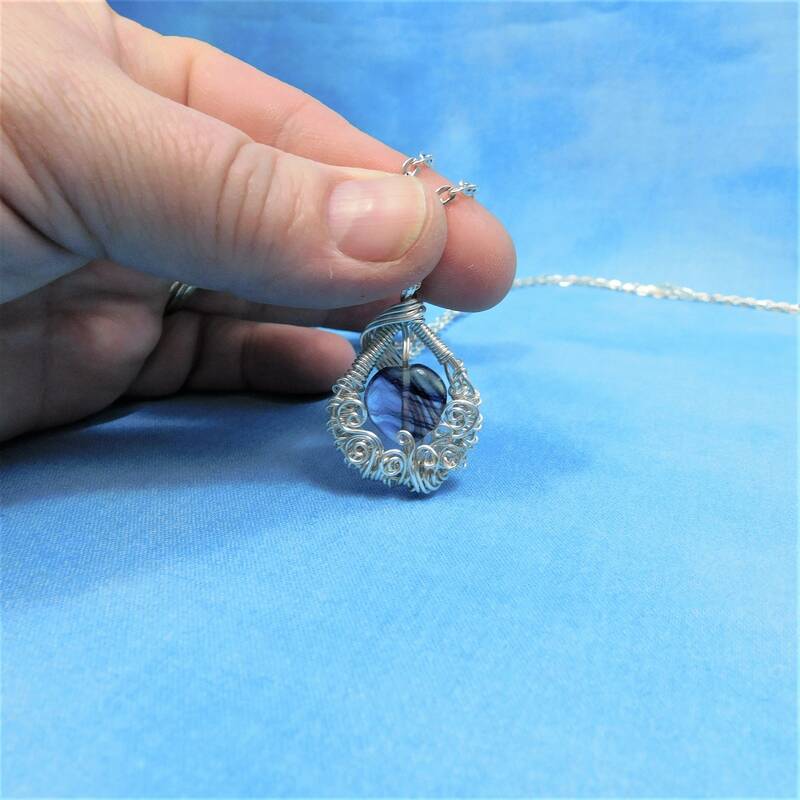 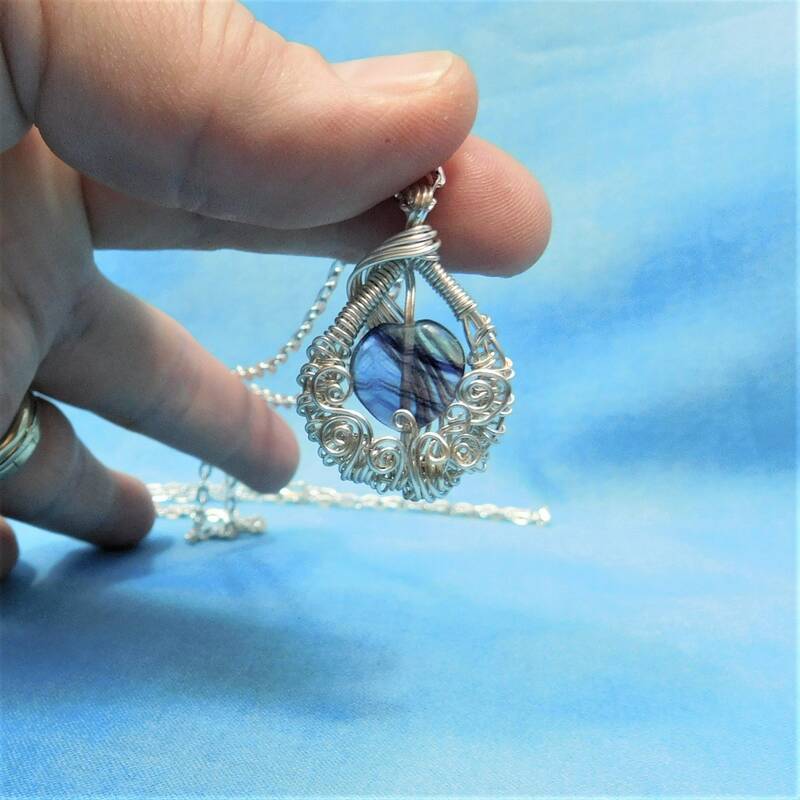 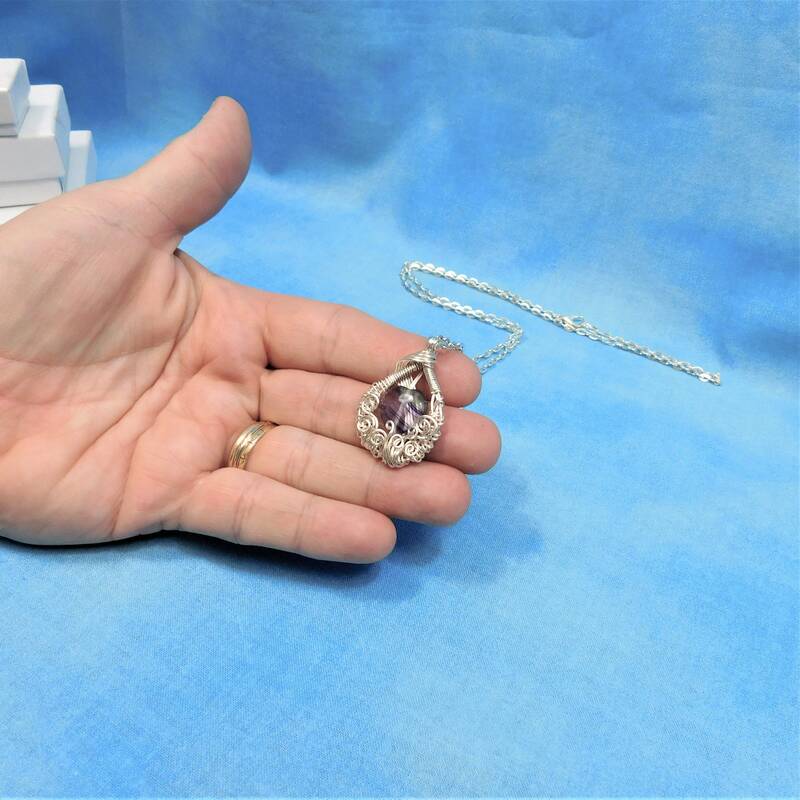 The unique gemstone is framed in artisan crafted woven wire, meticulously woven, shaped and sculpted by hand into a heart shape. 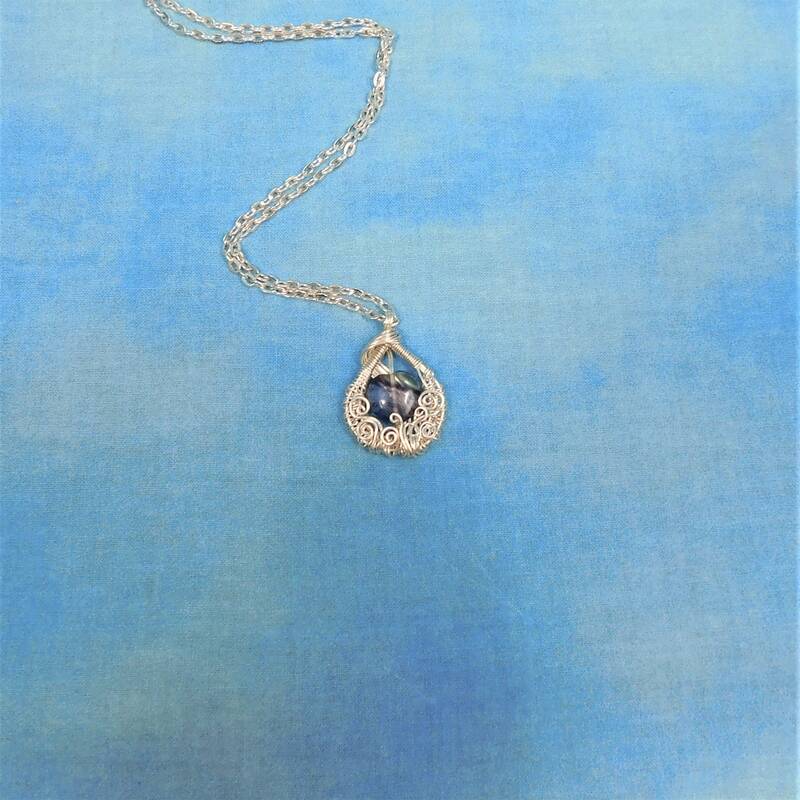 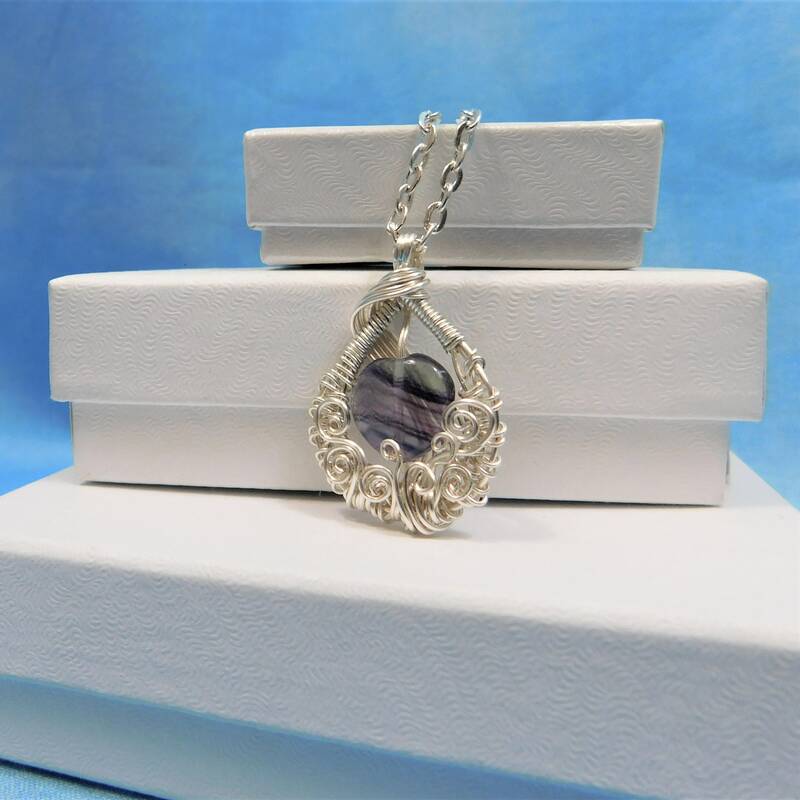 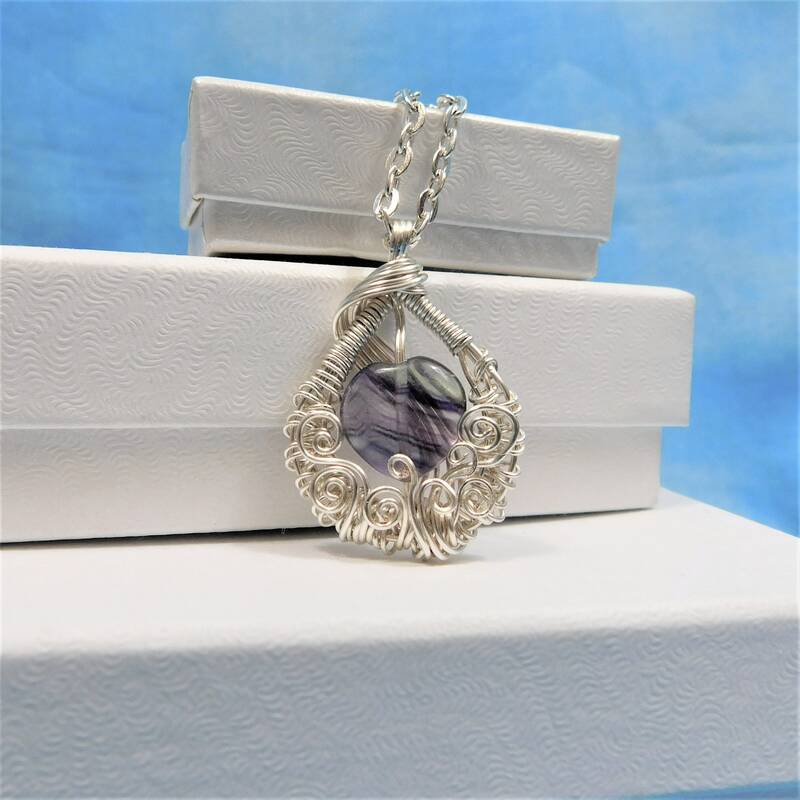 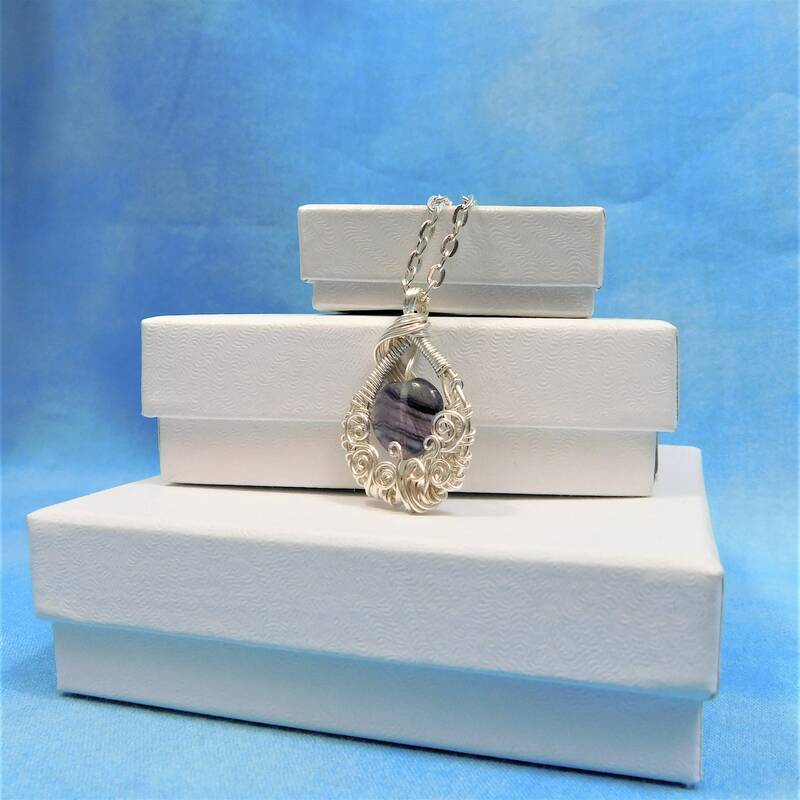 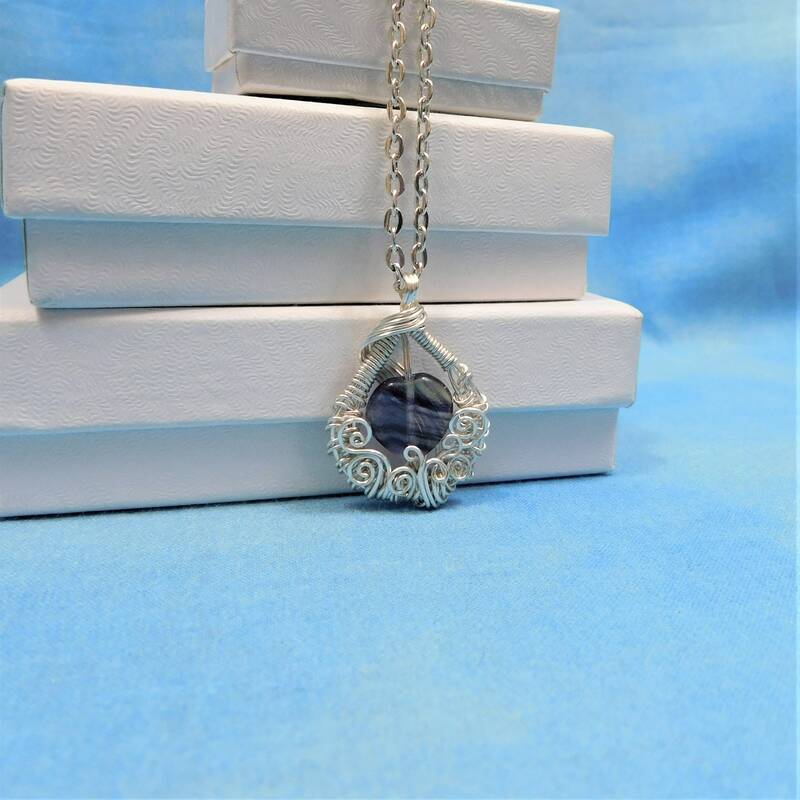 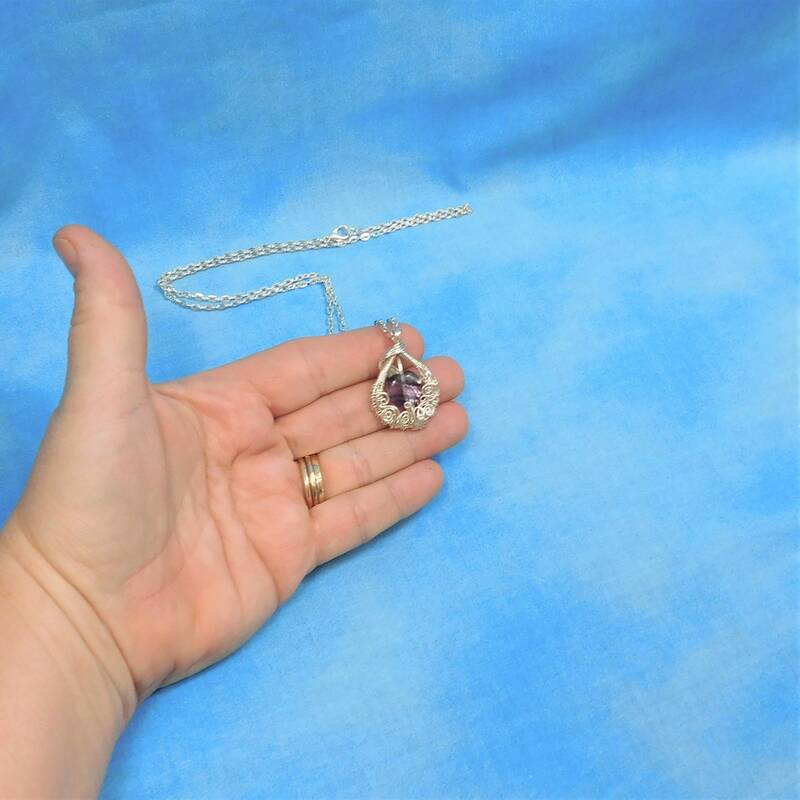 The bright silver frame is created using non tarnish fine silver over copper wire that enhances the colors in the stone and makes it appear to float within the frame.